Due to the "someday soon" implementation of Brexit, the United Kingdom is planning to initiate work on their own satellite navigation system to offset the EU's Galileo project as the access to sensitive security information could be restricted. 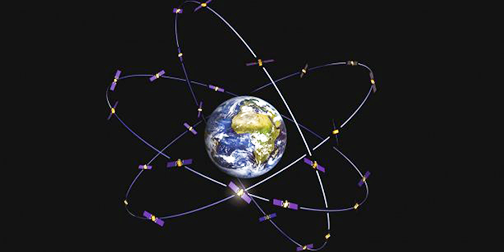 Galileo, a 10 billion euro (US$11.44 billion) satellite program being developed by the EU as a rival to the U.S. Global Positioning System, has emerged as a flashpoint between Britain and the EU, which is already beginning to treat Britain as an outsider.Britain's finance minister Philip Hammond has approved 100 million pounds to explore a post-Brexit satellite system and an official announcement will be made this week, according to the Sunday Telegraph reported. A spokeswoman for Britain's Department for Business, Energy and Industrial Strategy declined to comment. The European Commission has started to exclude Britain and its companies from sensitive future work on Galileo ahead of the country's exit from the EU in seven months time. Galileo was commissioned in 2003 and is due for completion by 2020. One expert has predicted that a new, rival, satellite navigation system could cost Britain about three billion pounds. With the warning from the EU that the UK's military could be denied access to Galileo's encrypted version when the constellation becomes operational, the implementation of a UK navigation system seems fairly assured, even though Britain will be able to continue to use the open signal from Galileo.